Live video streaming is on the rise. More people prefer watching live videos from a brand than reading blogs, and according to Yahoo, live video is significantly outpacing the growth of other types of online video with there being a 113% increase in ad growth annually. Social media platforms like Facebook and YouTube have gotten in on the live video trend. 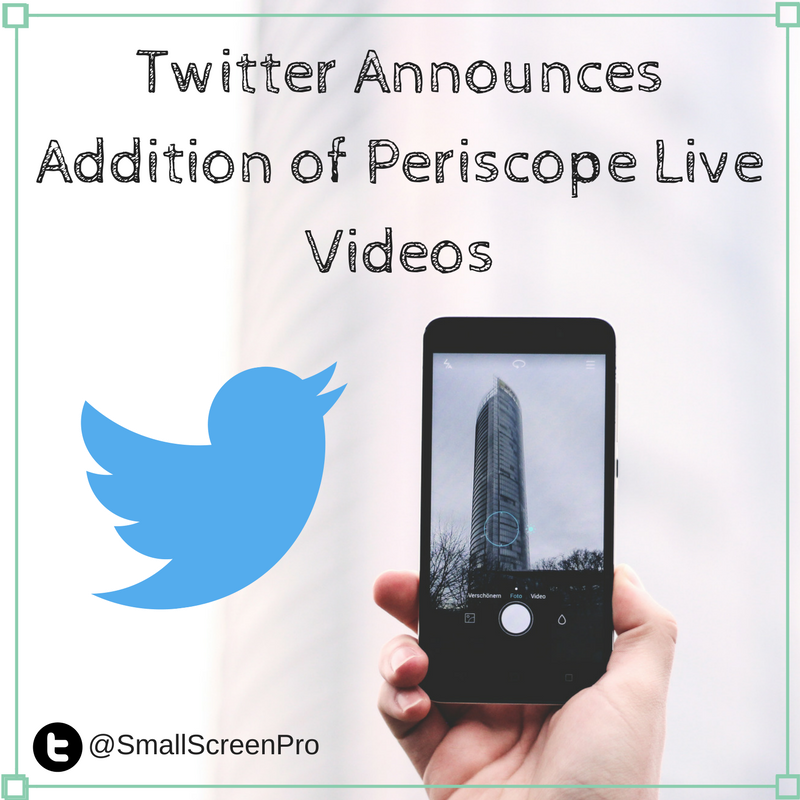 Finally Twitter is also joining their social media competitors through their integration of “Periscope”. Since the company acquired Periscope in early 2015, very little has been done with it – until now. With Twitter’s recent introduction of “Explore” (which replaced the “Moments” feature), they have now included Periscope in its “Top Trends” area. Share live events. Be the eyes and ears at a trade show, a seminar, or another event which is related to your brand. Keep an eye on the comments and interact with your viewers in real time. Hold interviews. Interview employees, clients and other industry leaders. Show how your product is made or how your services work. This will give your audience a glimpse of what is involved when creating your products or services and building your brand. Offer real-time training. Teach your audience how to use your brand and how it can benefit their lives. Host Q&A sessions. Organize one or more sessions where you allow your viewers to voice concerns and share questions about your brand, your products or your services. Interested in Adding Video to Your Online Marketing Strategy? Based out of Houston, Small Screen Producer has helped companies across North America boost their brand presence and recognition through video, paid search advertising, website design and more. We offer tailored solutions to businesses so that you can reach your business goals and get the most out of your investment with us. To speak with a digital media marketing expert today, we welcome you to call (281) 569-4370.